There are many people who are under the assumption that caterers do little more than just prepare food prior to events. However, in reality, there are a bunch of different operational duties of catering that caterers must be prepared to take on. 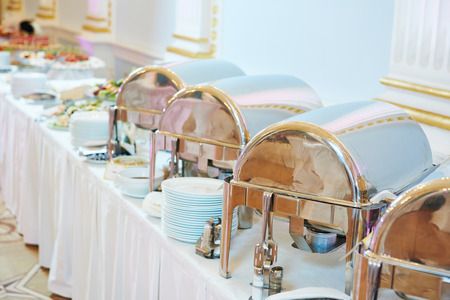 Check out 3 of the most important operational duties of catering below. In the months, weeks, and days leading up to an event, a catering company is responsible for helping a client out with the various stages of planning. This includes doing everything from coming up with a menu to figuring out how food will be served during an event. It’s important for the planning to get nailed down as early as possible so that a caterer can bring a client’s plans to life. In addition to planning, a catering company also needs to be able to handle organizing an event for a client. And this includes doing more than just organizing the food that’s going to be served. Caterers need to keep their own financial resources in order so that they can purchase food items for an event. They also need to monitor and predict food prices so that they stay within the budget for an event. Once all the planning and organizing for an event is finished, it’ll be time for a catering company to implement the plans that are in place. This is often easier said than done. They’ll need to schedule staff members to work at an event, coordinate what exactly those staff members will be doing, and make sure everything for an event is ready to go before the big day. Are you in the process of setting up an event? R&R Caterers can handle all the operational duties for you so that you don’t have to worry about a thing. Call us at 215-638-7376 today to discover how our off site party and event catering services can benefit you.